Baby on the way! 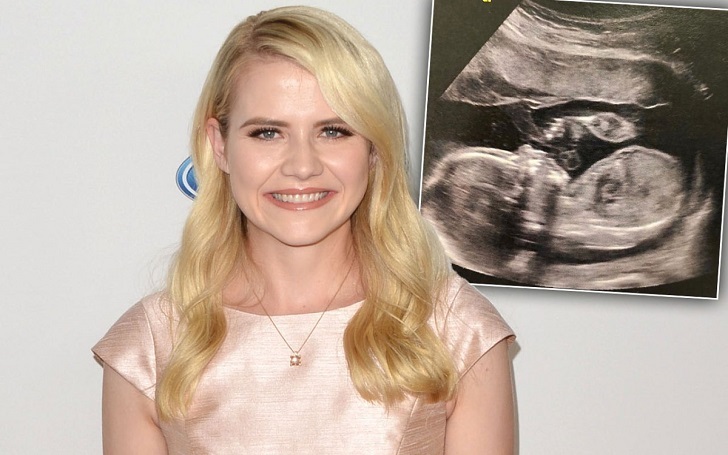 Elizabeth Smart is pregnant and expecting her third child with husband, Matthew Gilmour. The 30-year-old My Story author took to Instagram on Tuesday, June 26 to announce her pregnancy. Alongside a photo of an ultrasound of her baby, she wrote, "Pretty HUGE news!!!!!! We’re expecting baby #3 in November!!!!" Pretty HUGE news!!!!!! We’re expecting baby #3 in November!!!!???????????????????????????????????????? This expecting news comes just one year after the ABC News contributor welcomed son James Gilmour, 14 months. The duo also shares a 2-year-old daughter Chloe Gilmour, who was born in February 2015. Elizabeth often shares photos of her little ones on social media sites. Most recently, earlier this month, she posted a family picture while on a vacation to Wyoming. Last month, the child safety activist also posted a heartfelt snap of her clan at the beach and opened up about how important it is to find “balance” in her life. Elizabeth first met Scotland native Matthew while she was serving as missionaries in the Paris Mission in late 2011 and they eventually started an affair. After one year of dating, the couple became engaged in January 2102. Just after a year of engagement, they got married on 18 February 2012, in a private wedding ceremony in the Laie Hawaii Temple. Congratulations Elizabeth and Matt! We are eager for the birth of a new bundle of joy.